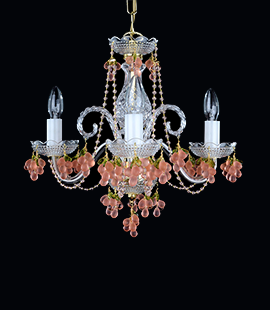 The glass crystal chandelier decorated with cut crystal balls and glass horns. 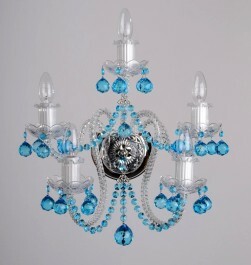 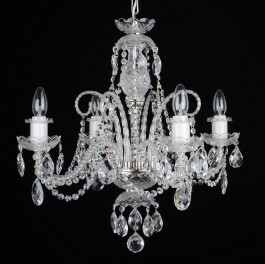 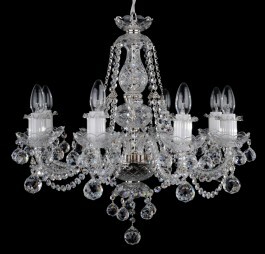 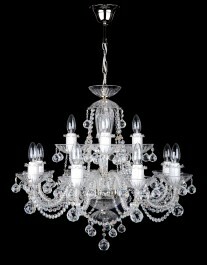 The design glass crystal chandelier with 3 profiled glass arms. 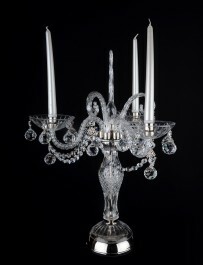 Dimensions (W x H): 50 x 57 cm/ 20.4"x23.3"